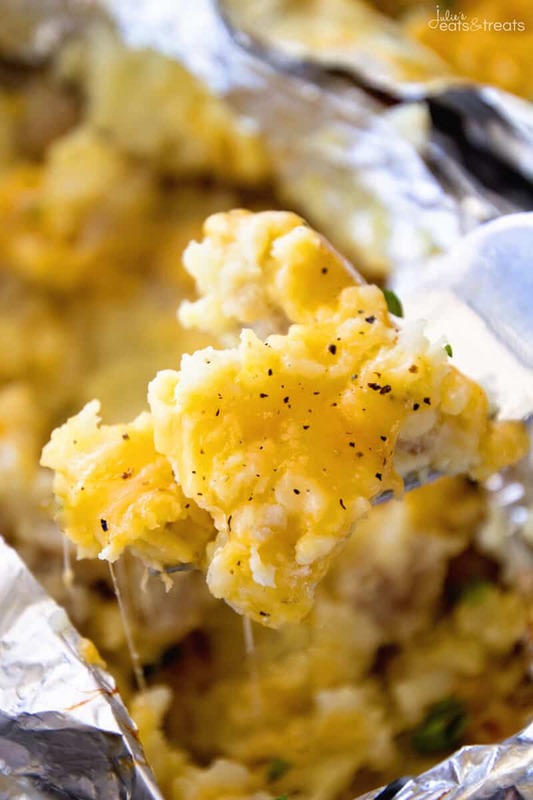 Home » Egg Bake Breakfast Foil Packet + 10 Summer Grilling Recipes! Egg Bake Breakfast Foil Packet + 10 Summer Grilling Recipes! 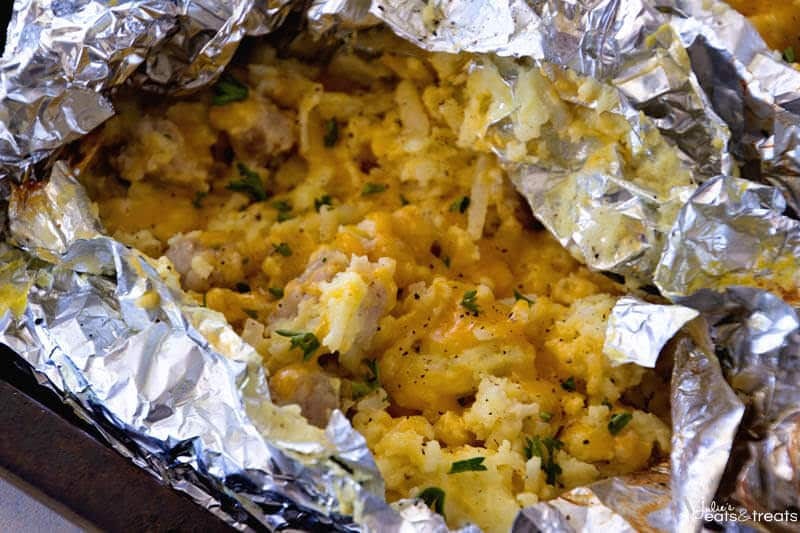 Egg Bake Breakfast Foil Packet ~ Love Breakfast Casseroles As Much As I Do? 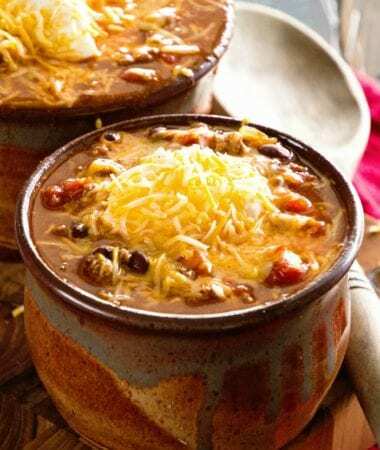 Now You Can Make Them Over The Campfire or on the Grill! 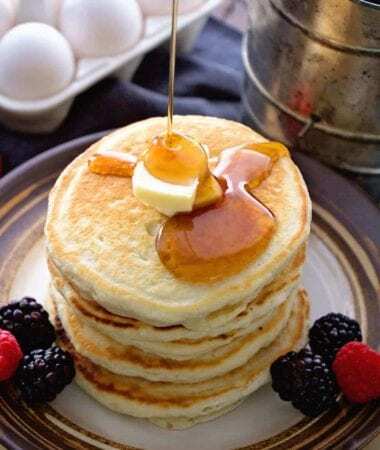 Enjoy Your Favorite Breakfast on the Grill or Campfire! The summer days are here. 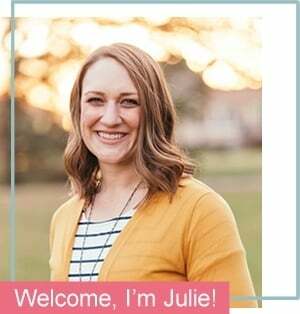 That means grilling, playing in the lake or pool, laying in the sun with a good book and making tons of memories around these parts! Some of the things you can find me grilling are Asian Steak Kebabs, Whiskey Bacon Cheddar Burgers and Grilled Garlic Butter Corn! I love how easy grilled dinners are. 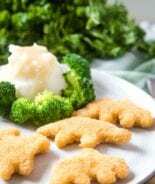 Less dishes and they seem to always be a bit healthier! While I was looking through my grilling recipes I noticed that I don’t have any breakfast ideas for you. I’m guessing most people don’t so I’m not alone! It’s kind of seems to be the forgotten part of the whole grilling thing. Let’s face it, you have to be slightly creative to be able to grill your breakfast! 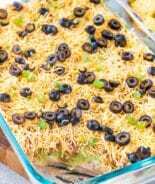 I know when I’m thinking about the best breakfast possible my mind always wanders over to breakfast casseroles! I decided it was high time I figured out a way to make these on the grill for those summer days or mornings when you are enjoying the lake. I love that these are made in a foil pack that can either be made on the grill or an open campfire. Can we talk camping a bit? Do you camp? I’ll admit it, I was never one for camping. When we first got married my husband was all about trying the camping thing. I looked at him and said well you better buy a camper because there was no was I was tenting it! The only way I was going to do this was in the comfort of a camper. I wasn’t even going to do a pop up camper! Apparently I’m slightly more high maintenance then I care to admit. I just wanted this to be an enjoyable experience. I knew it was going to be and our marriage might be short if we tried to do the whole tent thing. See, I was looking out for our marriage! If you tent it more power to you. I seriously admire you guys! I know someday the girls will want a tent and they will want to tent it in the backyard just like I did when I was a child, but never made it the whole night. I’m already volunteering their father for that mission. Thoughtful aren’t I? 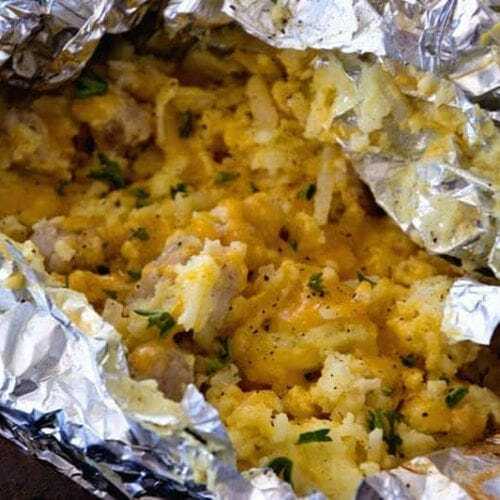 Whether you prefer roughing it or camping in luxury or just staying at home these Egg Bake Breakfast Foil Packets are a fun breakfast to make over the fire or on the grill. Why is it always more fun to eat things in foil packets? Plus, less dishes. High fives all around for that! 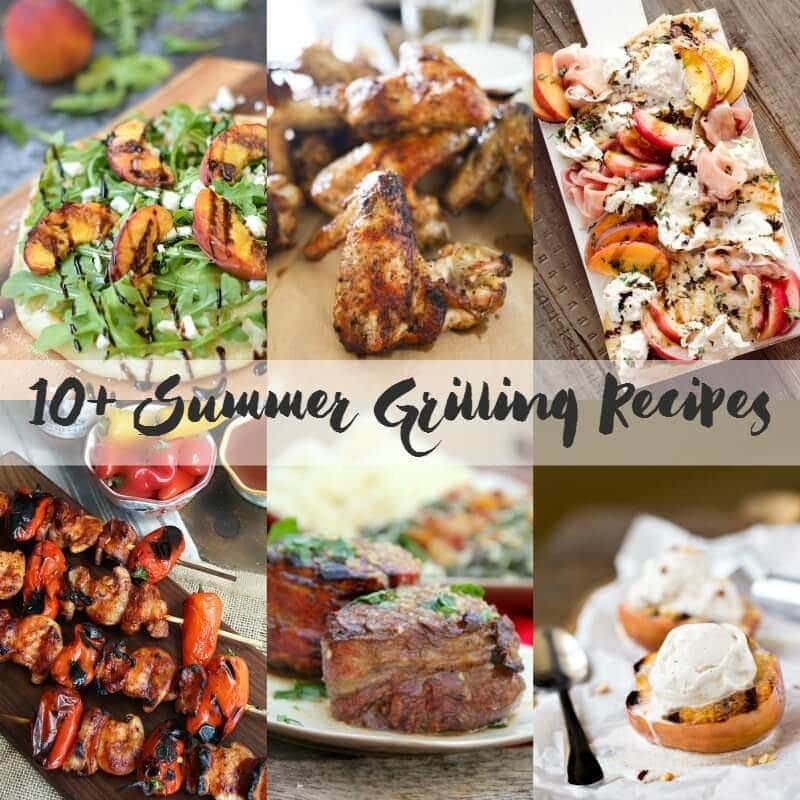 Today some of my blogging friends are joining me to share with you, 10+ Summer Grilling Recipes! Don’t they all look FABULOUS! If you need me you can find me by the grill the rest of the summer! Prepare campfire or grill for medium-high heat. In a large bowl whisk together eggs, milk, salt and pepper. 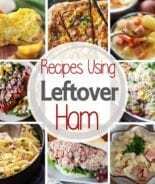 Stir in hash browns, diced ham and 3/4 c. cheese. Divide mixture among four 18x12 inch pieced of heavy duty nonstick foil. 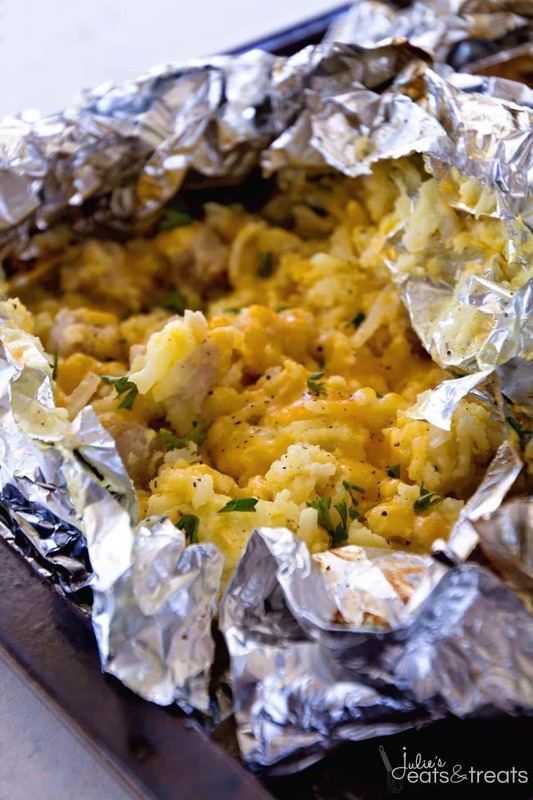 Fold foil tightly around mixture. Seal tightly. 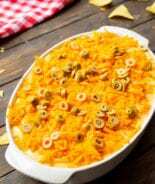 Placed packets over campfire or grill; cook 9-10 minutes or until potatoes are tender and eggs are cooked through. 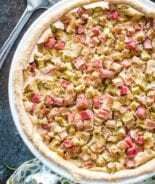 Open packets carefully and sprinkle with remaining cheese. Grilled Garlic Butter Corn ~ Fresh, Juicy Sweet Corn Recipe Grilled in Garlic Butter! Cajun Shrimp Boil Foil Packets ~ Foil Packets Stuffed with Potatoes, Salmon, Shrimp, Summer Sausage, Corn and Seasoned with Cajun Seasoning! The Perfect Grilling Recipe! 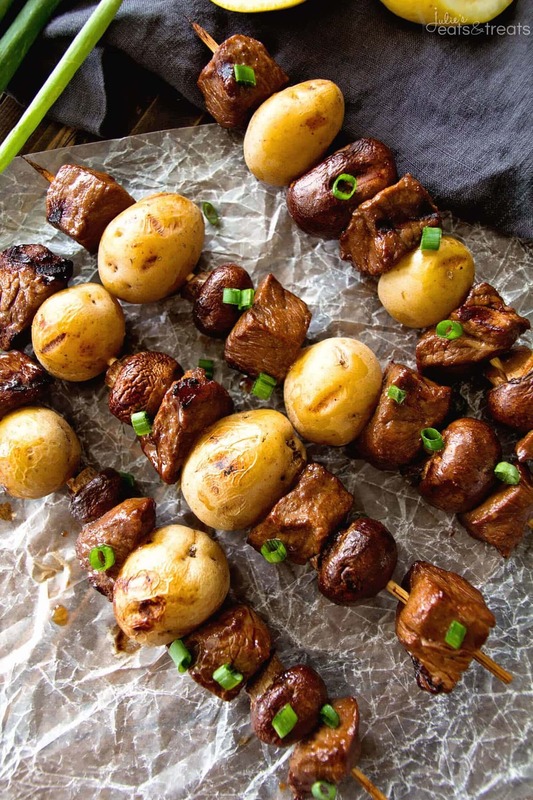 Steak & Potato Kebabs Recipe ~ Tender, Juicy Marinated Steak and Button Mushrooms with Yukon Gold Potatoes Served on a Kebab and Grilled to Perfection! Great additions! So glad you enjoyed it!